I am so bad at getting things done in time for birthdays and holidays! I always feel, like the paper and craft person I have become, that I should make something special. Then I don’t, and feel bad about it. 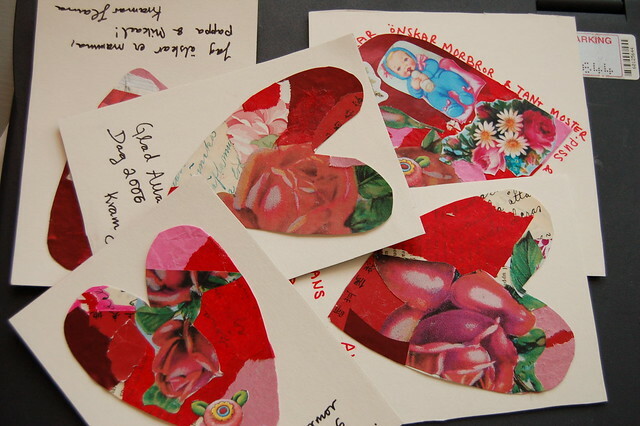 But this weekend I sat down in Crafty Corner and actually finished my Valentine cards – in time to send them out today! I’m happy about how the collages turned out! This entry was posted in Collage, Paper Crafting and tagged cut + paste, valentine. Bookmark the permalink. Love the cards!!! they look awesome!! happy Valentine’s to you, too!! Real fun to see..and precious collages! Thank you. the cards look GREAT! what a good idea! 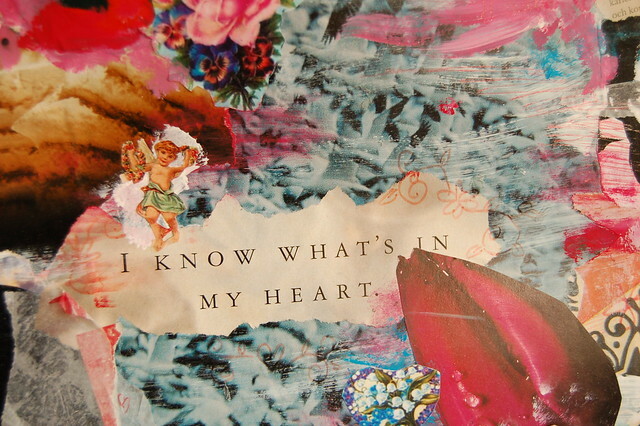 Hello there, Love those Valentine collages… & the Chinese Dogs from earlier on. love them, so beautiful !!! i adore these cards – so sweet and well-crafted!